Professor Dr. Eric Homburger studied law at the universities of Geneva and Zurich and earned his Doctorate in jurisprudence with a dissertation entitled “Handels- und Gewerbefreiheit und Vertragsfreiheit” under the supervision of Professor Zaccaria Giacometti in 1948. This was followed by several years of work at the courts of Zurich, first at the Horgen District Court and, subsequently, as a clerk of the Commercial Court of the Canton of Zurich. Following a one-year period of study at Harvard, Professor Homburger followed the call of his friend Othmar Lehner in 1957 to join his law firm. The Homburger office grew fast and, over time, became one of Switzerland’s leading commercial law firms. 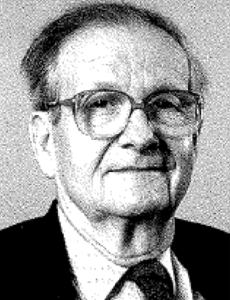 Professor Homburger always remained actively involved in academia and continuously authored numerous publications. After deciding to write his Habilitation, he worked as an assistant professor. Additionally, Professor Homburger was a member of the Board of Directors of the Association of Zurich Lawyers and of the Swiss Bar Association (SAV). For many years, he was president of the SAV. His balanced judgement and his sense of fairness made him a very valuable substitute member of the Supervisory Commission for Attorneys-at-Law and a highly sought arbitrator in national and international litigation. He also served as one of the four presidents of the Court of Arbitration at the Zurich Chamber of Commerce, a position that he maintained for a number of years. At a national level, Professor Homburger was part of the Foundation Council of the Swiss Institute for Comparative Law. Rechtsgrundlagen der amerikanischen Gerichtsbarkeit über ausländische Gesellschaften in Antitrust-Prozessen in: Separatabdruck aus: Wirtschaft und Recht. Volume 8 (1956), p. 269-279. Leitfaden zum neuen Aktienrecht. Mit den Ausführungsverordnungen des Bundesrates vom 9./15. Juni 1992. Neu mit einer Literaturübersicht zum revidierten Aktienrecht. 3rd Edition, Zurich 1994.